Woodbury, NY – February 4, 2019 – Dental365 is expanding by partnering with specialty offices throughout the area. Woodbury Pediatric Dentistry & Orthodontics, supported by Premier Care Dental Management, is the second specialty office to partner with Dental365 in their growing network of offices. Their office focuses on oral health for infants, children and young adults. In addition, Woodbury Pediatric Dentistry & Orthodontics is known for their extensive experience with patients who have special needs. The office offers full-service dentistry and orthodontic care for young patients. Woodbury Pediatric Dentistry & Orthodontics is led by Drs. Lisa Ritter-Kahn, Doug Schildhaus, and Celia Spatt Penzer who specialize in pediatric dentistry and Drs. Harry Tsotsos and Alexandria Anagnostis, DDS who specialize in Orthodontics. The doctors at the practice are well-known throughout the area and are passionate about giving back to the community, often volunteering dental services for those who are less fortunate. The five doctors are excited to begin their tenure with Dental365. Woodbury Pediatric Dentistry started in 1995 and is currently supported by Premier Care Dental Management administrative support services. The practice focuses on the oral health and dental needs of young people with the goal of helping children of all ages feel good about visiting the dentist and teaching them how to care for their teeth for beautiful and confident smiles. Woodbury Pediatric Dentistry & Orthodontics believes in providing the best dental care for children of all ages and specializes in dentistry for patients with special needs. 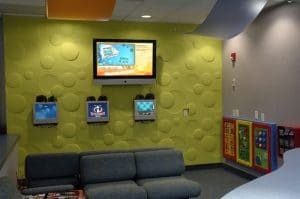 To find out more about Woodbury Pediatric Dentistry & Orthodontics or make an appointment, call 516-921-0400 or visit woodburypedoortho.com.